Social media sites, because of their growing popularity, have become an attractive marketing tool for businesses – both offline and online. Businesses can spread the word about themselves through the use of a blog or social media sites like Twitter, Facebook, YouTube, etc. These avenues of social media not only are a way for businesses to market themselves but it allows them to cultivate deeper relationships with current customers. How you will engage with your customers through social media? That question is something you need to stop and think about. You might think social media marketing is as simple as creating an account, getting on and sending out a few Tweets, Facebook updates, etc. But, it’s not that simple. You want to make sure you do it right so that you end up with positive results. Three tips to help you successfully utilize social media marketing. Before you start any social media marketing campaign, study your targeted audience; see which sites they visit most. Look for their comments on popular blogs and forums. 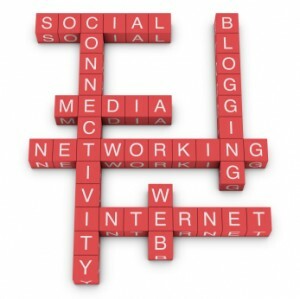 Social networking sites have search tools to help you find people interested in your target keywords. Spend the time to review discussions in progress, join groups, connect with users, and give away free tips and advice as a friend. This builds your identity and builds trust. Show that you’re a real person by including a description about you, your passions, and interests. Don’t treat this as a sales page – keep it personal. Include a brief description of your business. Again don’t use this as a ‘sales’ page. A picture of yourself, friendly but professional. Your main website URL. Don’t include every link for every thing you have, just your main website, and you can link to your other sites or profiles from there. Keep in mind that you should use the same information and picture on all your social media sites. The reason for doing this is so that it will help people connect with you (and ‘recognize’ you) across all sites. After you sign up for any social media site, blog or forum, take the time to listen first; do not just start jumping around in every conversation trying to sell your products or services. That is a sure way to damage your image and make people avoid you and your posts or comments. Learn what your potential customers are talking about, what interests them, what problems are they facing and then if you can offer helpful advice that isn’t ‘salesy’ speak up. By following these top three tips to grow your business with Social Media Marketing, you will find the value in social networks as you help your connections find the value in your product, service, or opportunity. which I feel I would never understand. It sort of feels too complicated and extremely broad for me.